That the God of our Lord Jesus Christ, the Father of glory, may give you the Spirit of wisdom and of revelation in the knowledge of him, having the eyes of your hearts enlightened, that you may know what is the hope to which he has called you, what are the riches of his glorious inheritance in the saints, and what is the immeasurable greatness of his power toward us who believe, according to the working of his great might (1:17-19a). 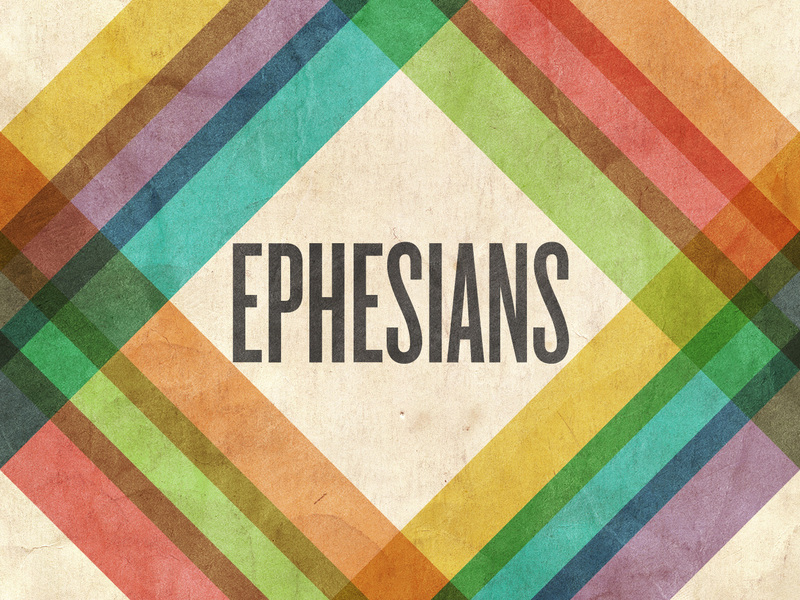 Paul’s prayer for the Ephesians in 1:15-23 begins with commendation (vv. 15-16a) and ends with supplication (vv. 16b-23). It could also be said that the prayer beings with praise and ends with petition. In this prayer, Paul requests “that the God of our Lord Jesus Christ, the Father of glory, [would] give [the Ephesians] the Spirit of wisdom and of revelation in the knowledge of him” (v. 17). “‘Spirit of wisdom’ refers to the Holy Spirit’s secret working in Christians to give them insights into God’s Word and the saving knowledge of him” (ESV Study Bible, p. 2263). (Some versions read “spirit,” not “Spirit.”) “The natural person does not accept the things of the Spirit of God, for they are folly to him, and he is not able to understand them because they are spiritually discerned” (1 Cor. 2:14). As in the eulogy (1:3-14), all three persons of the Trinity are in Paul’s prayer. We know that there is a big difference between knowing about someone and really knowing that person. You can know lots of facts about a famous person, but only his friends and family really know him. God desires that we know him, not merely know about him. How can we know God more deeply? That’s not an easy question. With humans, it takes time and communication. Getting to know God requires the same things. Reading and meditating on God’s word, prayer, and obedience are needed if we want to know God better. Paul prays that the Ephesians would have “the eyes of [their] hearts enlightened” (v. 18a). He desires that they might more fully understand and appreciate how God has blessed them. He has already said, “Blessed be the God and Father of our Lord Jesus Christ, who has blessed us in Christ with every spiritual blessing in the heavenly places” (1:3). Obviously, when Paul mentions the “hearts” of the Ephesians, he is not referring to the blood-pumping organs within the bodies of the Ephesians. We often use the word “heart” in a figurative sense (e.g., “I love you with all my heart”). Paul is saying that he wants their thoughts and feelings opened to a fuller knowledge of God and his salvation. There are three realities that we who are believers should know. 1. We have hope in God. Paul prays that believers would know “what is the hope to which [God] has called [us]” (v. 18b). Without Christ, there is no hope (cf. 2:12). But in Christ, there is a “living hope” (1 Peter 1:3), a “blessed hope” (Titus 2:13), and a “sure” hope (Heb. 6:11, NIV 1984). We do not grieve “as others do who have no hope” (1 Thess. 4:13). 2. We have value to God. Paul prays that believers would know “what are the riches of [God’s] glorious inheritance in the saints” (v. 18c). “‘In the saints’ means that the inheritance is found in, or consists of, these people” (Klyne Snodgrass, Ephesians, p. 74). We are God’s possession. He chose us, he redeemed us, he adopted us, and he sealed us. 3. We have power from God. Paul prays that believers would know “what is the immeasurable greatness of [God’s] power toward us who believe” (v. 19a). God is working out his plan for our lives with the same power that “raised [Christ] from the dead” (v. 20). For this reason, because I have heard of your faith in the Lord Jesus and your love toward all the saints, I do not cease to give thanks for you, remembering you in my prayers. What do you get the person who has everything? Maybe desktop horseshoes, the world’s largest gummy bear, or the original beard hat. When we pray, we should always give thanks. The sealing of the Holy Spirit is like an engagement ring. When a man gives a woman an engagement ring, he is promising to marry her. Of course, men sometimes break their promises. Sometimes the wedding never happens. But God always keeps His promises. When we put our faith in Christ, God gives to us the Holy Spirit, and He is the guarantee that we will receive our inheritance (i.e., the blessings of the life to come). 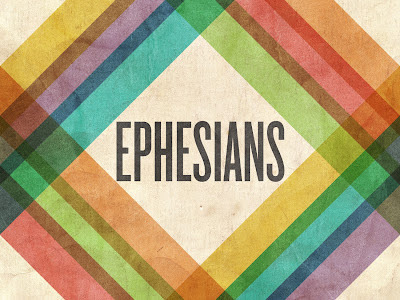 How did Paul know that the Holy Spirit was at work in the lives of the Ephesians? They possessed two virtues that are expected of believers. These two virtues should be present in our own lives. 1. We should have a growing faith in Jesus. Paul had heard of the Ephesians’ “faith in the Lord Jesus” (v. 15). Paul says, “I have heard,” because it would have been 5 or 6 six years since he had been in Ephesus (and Ephesians may have been a circular letter). “Faith” involves not only our intellect, but also our will. Jesus is not only the believer’s Savior, but also his or her “Lord.” “If you confess with your mouth that Jesus is Lord and believe in your heart that God raised him from the dead, you will be saved” (Rom. 10:9). If you confess that Jesus is your Lord, you are saying that you are willing to submit to his will. Jesus said, “Whoever does not take his cross and follow me is not worthy of me. Whoever finds his life will lose it, and whoever loses his life for my sake will find it” (Matt. 10:38-39). 2. We should have a growing love for others. Paul had also heard of the Ephesians’ “love toward all the saints” (v. 15). Paul had not only heard of their vertical relationship (with Jesus) but also their horizontal relationships (with one another). Their love was “toward all the saints.” Every believer is a “saint” (not just people like St. Patrick). Ephesians was written “to the saints who are in Ephesus” (v. 1; cf. v. 18). The word “all” is significant. The Ephesians loved all the saints, not just some. “Love” (agape) refers to selfless, giving kind of love. Jesus said, “Just as I have loved you, you also are to love one another. By this all people will know that you are my disciples, if you have love for one another” (John 13:35). It’s not easy to love people like Jesus has loved us. A few years later, Jesus said to the church at Ephesus, “You have abandoned the love you had at first” (Rev. 2:4). We should pray that others will grow in faith and love. Often, when we pray for others, we only make requests concerning their physical and material well-being. But spiritual growth is more important. In him we have obtained an inheritance, having been predestined according to the purpose of him who works all things according to the counsel of his will, so that we who were the first to hope in Christ might be to the praise of his glory. In him you also, when you heard the word of truth were sealed with the promised Holy Spirit, who is the guarantee of our inheritance until we acquire possession of it, to the praise of his glory (1:11-14). In 2008, Sergey Sudev, a journalism student from Moldova, was left 950 million euros by an uncle he had not seen for 10 years. Sudev had no idea he stood to inherit a fortune. Then one day there was a knock at his door in the town of Komrat. His uncle’s agents had tracked him down to pass on the incredible news. The shocked student said to them, “Is this a joke?” The inheritance made Sudev one of the richest men in Moldova, where the average monthly salary is around 279 euros. There are many other stories of unexpected inheritances. But for the child of God, there is an expected inheritance. Paul writes, “We have obtained an inheritance” (v. 11). (Paul has already said that God “predestined us for adoption as sons through Jesus Christ,” v. 5). The Greek word for “obtained an inheritance” (kleroo) means “to allot (a portion).” This is the only time it is used in the NT. (It could also be translated “made God’s inheritance.”) In the OT, Israel’s inheritance was the Promised Land. “To you I will give the land of Canaan as your portion for an inheritance” (Ps. 105:11). What is the believer’s inheritance? Our inheritance is our great hope: the blessings of the life to come. This hope will be fulfilled at the second coming of Christ. 1. Our inheritance was provided by Christ. The inheritance we have obtained is “in [Christ].” “Blessed be the God and Father of our Lord Jesus Christ! According to his great mercy, he has caused us to be born again to a living hope through the resurrection of Jesus Christ from the dead, to an inheritance that is imperishable, undefiled, and unfading, kept in heaven for you, who by God’s power are being guarded through faith for a salvation ready to be revealed in the last time” (1 Peter 1:3-5). When Paul says “we who were the first to hope in Christ” (v. 12), he may be referring to Jewish Christians. Later, the Ephesians (and other Gentiles) “heard the word of truth, the gospel of [their] salvation, and believed in [Christ]” (v. 13). Through union with Christ, all believers—both Jews and Gentiles—share the same hope. 2. Our inheritance was planned by the Father. We have been “predestined according to the purpose of him who works all things according to the counsel of his will” (v. 11). God’s plans never fail. “We know that for those who love God all things work together for good, for those who are called according to his purpose” (Rom. 8:28). “I am sure of this, that he who began a good work in you will bring it to completion at the day of Jesus Christ” (Phil. 1:6). 3. Our inheritance was pledged by the Spirit. We have been “sealed with the promised Holy Spirit, who is the guarantee of our inheritance.” “‘Sealed’ can mean either that the Holy Spirit protects and preserves Christians until they reach their inheritance (cf. 4:30; 2 Cor. 1:22; 1 Peter 1:5; Rev. 7:2-3) or that he ‘certifies’ the authenticity of their acceptance by God as being genuine—they bear the ‘royal seal’ (cf. John 3:33; Acts 10:44, 47). The first interpretation seems best here, though both ideas are biblically true” (ESV Study Bible, p. 2263). We should be the happiest people on earth because of what God has done, is doing, and will do for us! It would be exciting to discover that you inherited a fortune. But it should be more exciting to know you are the heir to a fortune of eternal blessings!